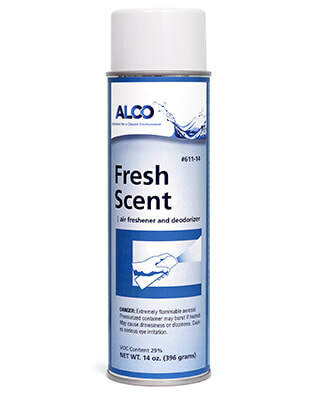 Alco Fresh Scent - Alco-Chem, Inc.
Dry air and fabric deodorant and odor neutralizer. Fresh clean linen fragrance, quickly filtrates area. Effective on carpets, draperies, and upholstery. Use almost anywhere to freshen and deodorize kitchens, bathrooms, and office areas.